The stage show was hilarious – it had both Tori and Arthur entranced, laughing along and singing away – and so were all of us grown ups! Very clever and just the right length for the setting – you didn’t want to leave before it finished to go do something else which is sometimes the case with these things. On the day we visited it was also the Wicked Warwick ‘W Factor’ competition, where us commoners were invited up on the stage to audition for the chance to win a cameo role in a future performance of the stage show. Of course, Tori and Arthur insisted that we joined in and luck of the draw meant we were up FIRST. Eeek! 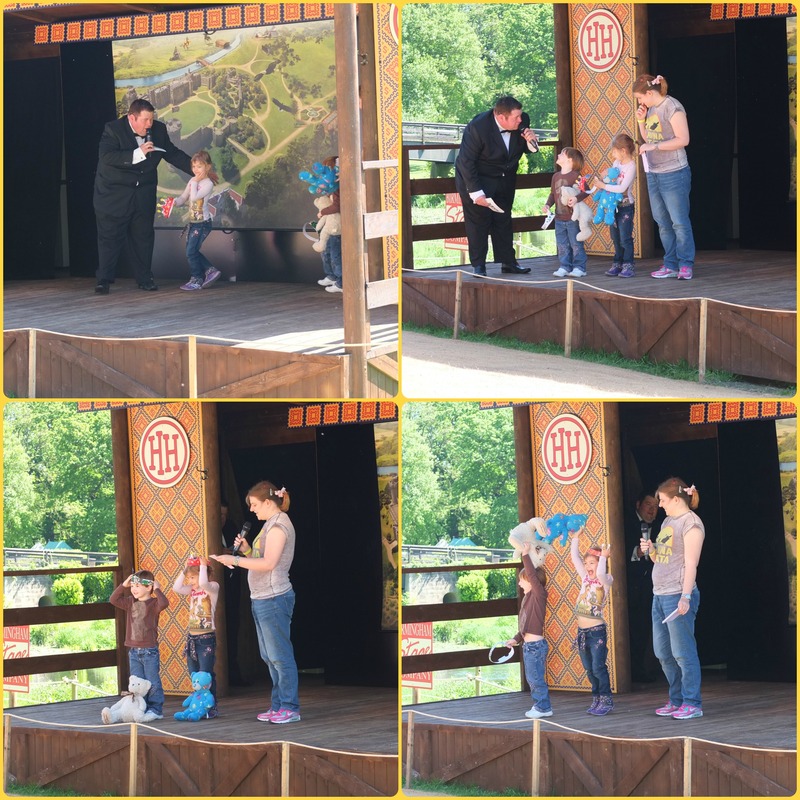 It was actually great fun – the kids didn’t have a shred of nerves – it was all excitement and unadulterated glee as we took to the stage to perform our little poem about the Clarence and Bear Towers at Warwick Castle (assisted by Splash and Teddy, of course). Being up first meant that we were then free to relax and enjoy the other acts, though it soon became clear that our opening score of 12 out of 15 was a strong contender! 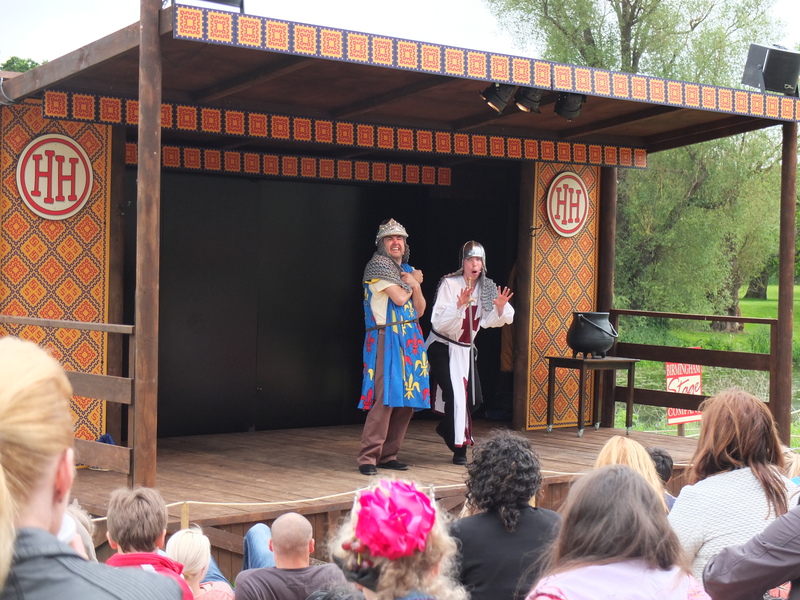 Before we had to slip away to feed Arthur (who was turning into a bit of a scary bear himself) we only saw one other act – some brilliantly funny pirates – get a higher score than ours. Exciting times! When we returned to the stage later for the results we were amazed to discover that we finished in third place behind the pirates and a very talented young singer! 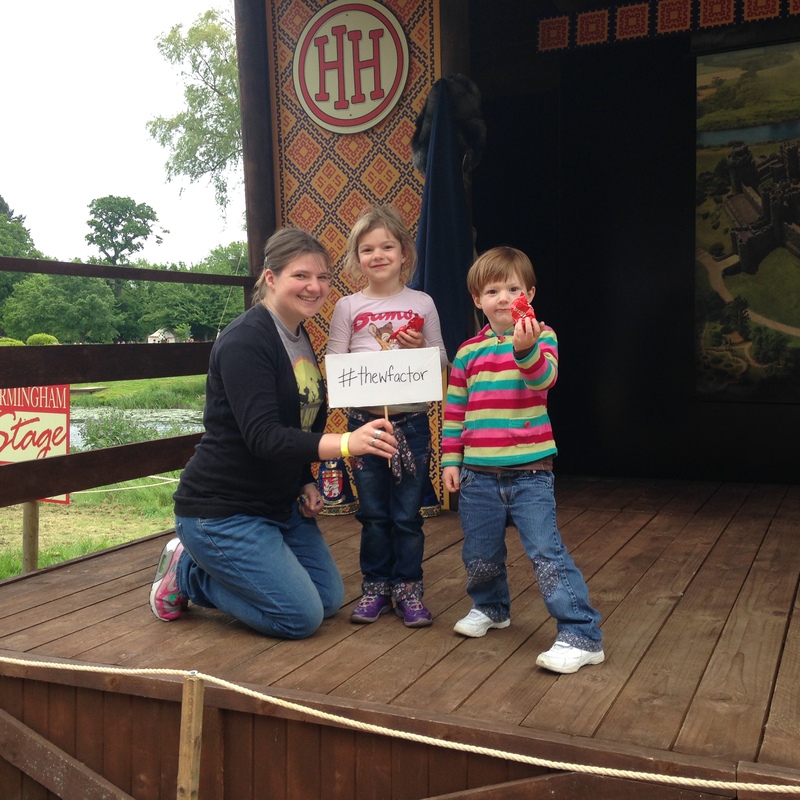 The Smalls were incredibly over excited and haven’t stopped talking about it since – they definitely had the W Factor! There is, of course, much more to do at the Castle. There are the towers to explore and grounds to roam, bird of prey displays and the creepy Castle Dungeons for the brave people to visit. 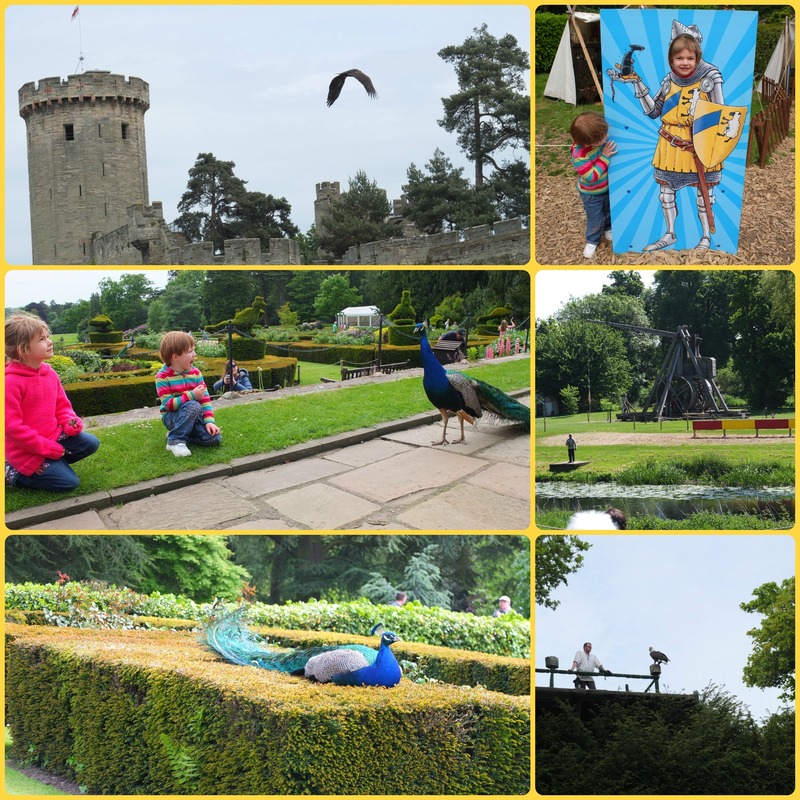 We decided to do all the outdoor activities on this visit because the weather was so nice – we watched the Trebuchet demonstration, squealed in delight as the giant eagles and vultures swooped over our heads from the Castle walls and stalked peacocks around the gardens admiring their beautiful plumage. Thanks 🙂 It was a great day out! Sounds like a really good day out. We used to go to Warwick a lot as kids, I remember it fondly though I think it is under different management now.